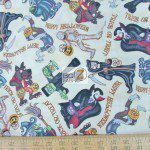 Great selection of Halloween print cotton fabric. 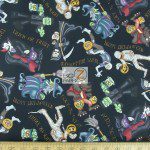 We have several designers and hundreds of prints for you, your kids or your friends. 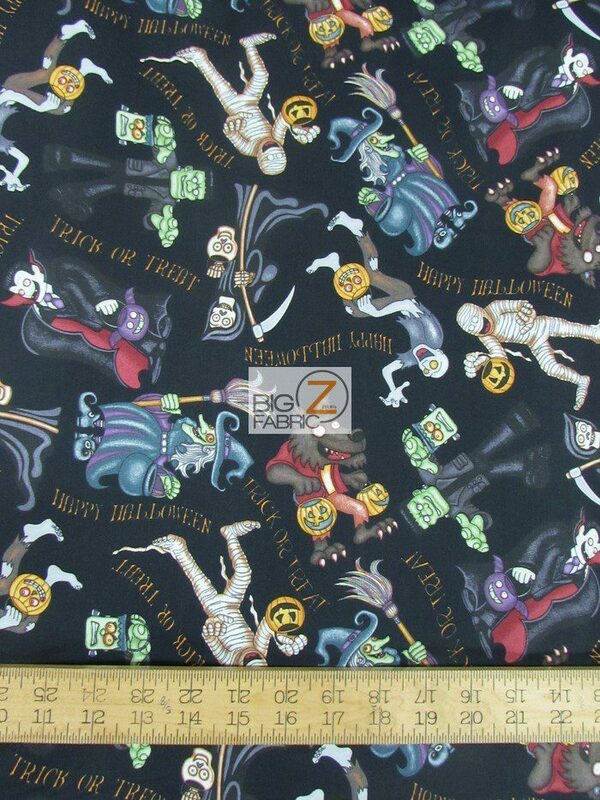 If you want to know more about our Halloween Print Cotton Fabric collection call us to 844-BIG-Z-FAB (244-9322). 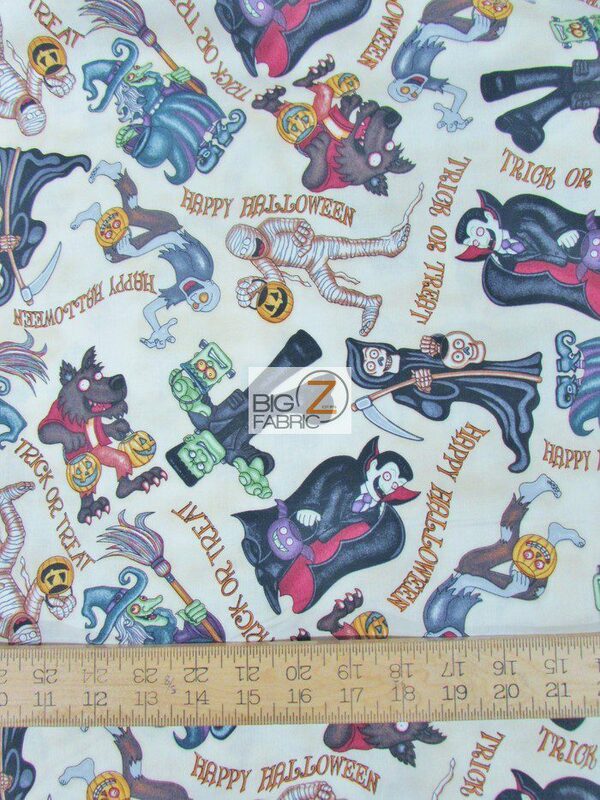 These fabrics are 100% cotton and they are licensed.